The Big Apple is famous for a reason. From shopping to art galleries and fashion shows, NYC is a magical place. If you’re there for the weekend on your own or with your kids, we have a treat: 10 best places to eat in NYC. Enjoy a healthy breakfast, indulge in a budget-friendly lunch, or relish in a delicious dinner under the moonlight–NYC dining is an experience you don’t want to miss. 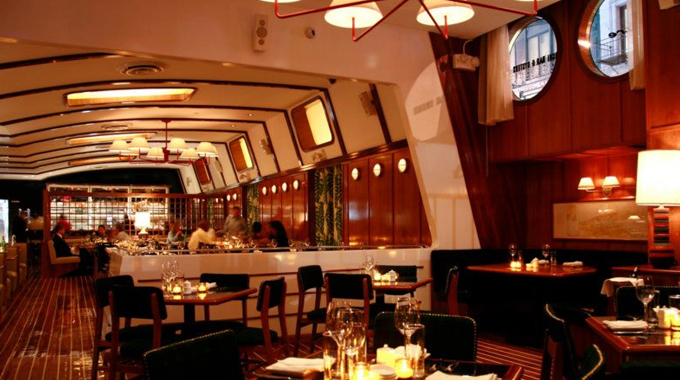 Located in downtown Manhattan, this restaurant is the place to be if you’re on a date in the city. It offers fish lovers light dishes they can enjoy with their loved ones in a special atmosphere. You should also taste their roasted chicken and lobster roll. Dining there doesn’t come cheap, so make sure your pockets are full before booking a table. The hefty bill will be nothing compared to the tasty dishes. If you’re a fan of burgers, the Lure Fishbar is famous for their Bash-Style Burger nights. The Soho area of NYC is world-renowned for its many exciting eating spots. 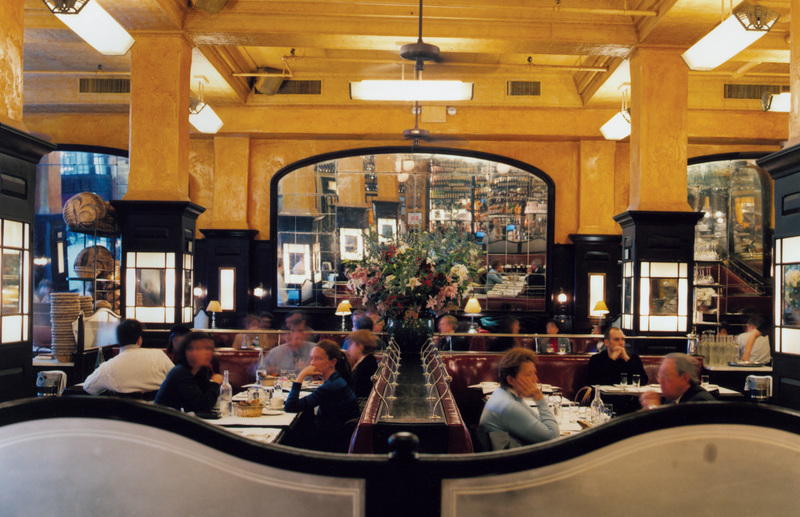 The Balthazar Restaurant and Sadelle’s are only two of the best places to eat. The first restaurant is excellent if you’ve always enjoyed time spent with friends in a brasserie. Their menu is quite expensive, but the food is a delight. They serve breakfast, Sunday brunch, lunch, and dinner. The wine selection is also great, and their delicious desserts are even better. By the time you’re done, you’ll want a second and a third serve of everything. Thanksgiving is one of the best times to spend with your family. Be it as it may, why not try it at this restaurant. 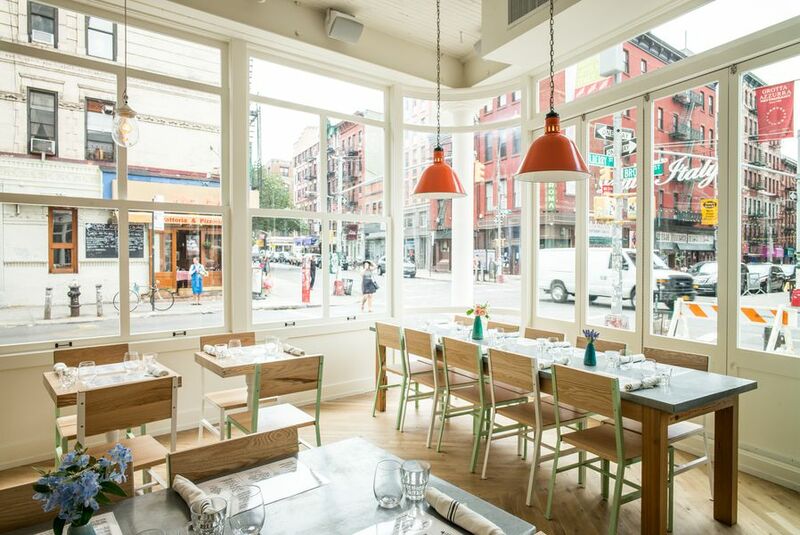 Sadelle’s is quite new on the block, and yet they’ve made a good name for themselves. Lovers of bakery and Jewish delicacies will make this restaurant their new home in no time at all. The bagels and smoked fish served there will make you lick your fingers. Speaking of bagels: they’re rolled by hand inside a glass space located in the center. Makes you want to pay a visit, doesn’t it? The magnificent view is, even more, a great reason to do it. Have you recently discovered Little Italy and wanted a good place to eat? We have just the thing for you: Seamore’s. Like its name says, the sea is where their food selection comes from. Everything is fresh, thanks to Michael Chernow and his team of talented chefs. The whole New England feel of the place will invite you in, and soon you’ll never want to leave this restaurant. As for what they have on the menu: we heartily recommend the Daily Landings. It lets clients explore an excellent choice of spicy squid tacos and sauce. Try their bacon cheeseburger served medium rare. Pure bliss, we tell you. The best place to eat if you’re short on money. They are affordable, but the dishes are delicious. If you live in the Midtown West area, they offer Thai food delivery. This isn’t their only forte, though. The Larb Ubol has some wickedly tasty papaya salads. It’s no wonder they’re the main attraction for crowds who want a quick bite during summer. The crispy pork and sour sausage are also fantastic. Want some fiery larbs for dinner? You know where to go from now. The Spicy Village, located on 68 Forsyth Street, is the number one place to go with friends. “Big tray of chicken” is a fan favorite with many. Rightly so: you get the best noodle, chicken, and potato combination in town. This is all stewed in sauce mixed with cumin and chili oil. This is another great affordable eating spot. Try their excellent noodle soups while you’re at it. NYC wouldn’t be NYC if it didn’t have a wide variety of pizza places. 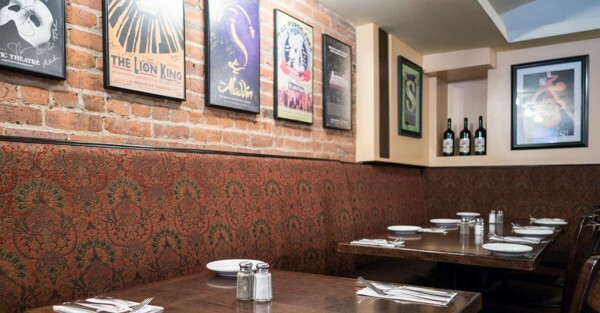 The most popular spot is Patzeria Family & Friends located near Times Square. The atmosphere and service will make you want to visit every time you’re in the city for a group outing or with family. The portions they serve are huge and you’ll feel full before you’re done. Mexican dishes made by authentic chefs have a certain charm. Go to the Flatiron District when you want to savor the best seafood seasoned with delicious veggies. Stars of the Cosme are carnitas and burrata with salsa verde. You won’t be able to say no to the tortillas and pasta included in the menu. If you want info on every dish served there, look for Enrique Olvera. He knows the tools of the trade and is always ready with advice on everything food-related. Bonus points: flawless presentation. As we all know, Italian cuisine is very popular. Pizza, in particular, has a special place in many people’s hearts. This is one of the reasons L’Amico came to be what it is today. Much to our delight (and, we’re sure, yours as well if you visit), the restaurant is perfect for summer days. When you have time, swing by Chelsea and let go of your financial woes for a bit. Planning on having dinner before going to the theater? Le Bernardin has got you covered. This French restaurant is an ideal pick if you want nothing short of perfection when it comes to excellent cooking and service. You’ll have to dig deep into your pockets, but it’ll be worth it. Just because we’ve chosen our top ten restaurants doesn’t mean that’s all there is to NYC’s food industry. In fact, we’ve come up with a list of alternative restaurants in the city based on specific categories. Check them out below. You don’t have to spend a fortune to be able to dine at a decent place in the city. It’s just a matter of knowing which ones can serve you the best food at the most reasonable price. That said, check out some of our choices for the best cheap places to eat in NYC. This burger joint in Williamsburg is often compared to NYC’s Shake Shack, so that should give you an idea about this place. They don’t have a lot on the menu–burger, fries, and milkshake are all there is. The food quality is superb, but their prices don’t break the bank. 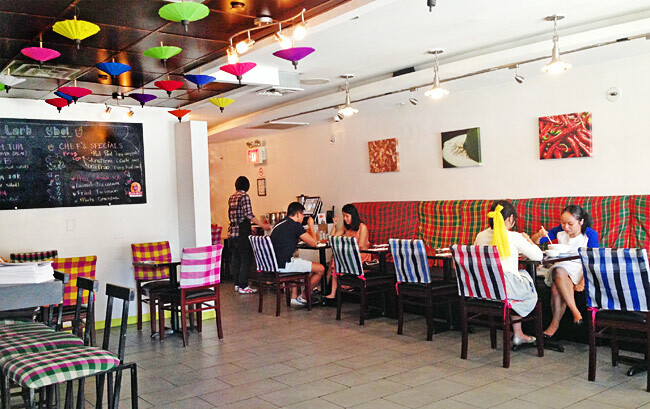 If you’re craving for some Thai food, particularly Isan-style cuisine, and you’re around East village, Somtum Der is the place to be. The name of the restaurant is derived from an actual dish straight off their menu called Som Tum, a papaya salad made available in different variations. They also have an Isan-style fried chicken that’s worth a try. If you’re in the city for the weekend and you feel like eating brunch while enjoying a clear view of Midtown Manhattan and the Empire State Building, come by 230 Fifth. While bars of this kind are usually expensive, this rooftop bar isn’t. In fact, it’s one of the few affordable ones. Let’s face it, kids can be very picky at times, and they don’t always have the patience to wait for their food to be served. So, it’s crucial to know which restaurant can provide you and your kids the best meal in the most comfortable environment. If you’re planning to visit the Children’s Museum of Manhattan, you can take a 10-minute ride from there to Papaya King. This iconic place serves an epic set of take-out food with a history that can be traced back to 1932: hot dogs and papaya juice. Your kids can even pick their own toppings; there’s chili, onions, and sauerkraut. If you’re craving for some Italian food, but the kids are not in the mood for a fine dining experience at a fancy Italian restaurant, come to Carmine’s. It’s proudly a family-style restaurant that serves a variety of Southern Italian cuisine. On top of that, they serve them in incredibly big portions. Your kids can enjoy homestyle pasta with meatballs or some chicken parmigiana. Finish off your dinner at Carmine’s with some homemade desserts that are better eaten when shared with your entire family. This kid-friendly BBQ joint located in Time Square offers a variety of food choices which includes mac and cheese, BBQ burger, onion rings, BBQ chicken wings, beef brisket, and many others. The best part is, Virgil’s makes your kid’s dining experience an enjoyable one by giving out some coloring books and crayons while waiting for their meal to be served. This part of the city is overflowing with food options. So, here’s a long list of restaurants for you. Craving for some food, but too busy to go through a full-course meal? Drop by the restaurant and order a quick bowl of their famous chicken paitan ramen. Totto Ramen is open to serve its diners during lunch and dinner. This two Michelin star restaurant is one for the books. Under the management of Chef Emma Bengtsson, Aquavit offers a delightful menu of Nordic cuisine. You can order a three-course tasting menu featuring some seasonal Nordic dishes for a little over a hundred dollars. If that’s too fancy for you, you can stay outside the dining room, get comfy in their lounge couches, and order some seafood or Swedish meatballs. Have you ever tried tempura-fried pizza? If you haven’t, well, come by the Sake Bar Hagi. There’s more to try on their menu though–takoyaki, dumplings, and creamy carbonara-style udon among others. The restaurant is perfect for those who appreciate a dining experience filled with a variety of Japanese small plates. Located inside the Museum of Modern Art, this restaurant can serve its diners with a fancy prix fixe lunch or dinner featuring New American-style cuisine. If you’re just in for a drink and a quick meal, head to the bar room for some cocktails and a la carte dishes. This popular food hall in Midtown, New York City houses an impressive lineup of eateries suited for all types of foodies. There’s a modern Greek restaurant, Thai-street food spot, doughnut shop, pretzel shop, and many others. Roberta’s first ever branch in Manhattan can also be found here. With a food selection as impressive as this, dining out in the city will surely be a fun experience for you. 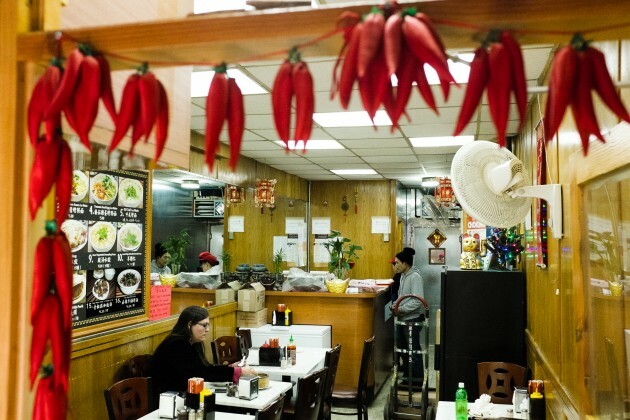 For the Chinese food fanatics, this is the ultimate place to be while in NYC. For the curious tourists, be the judge. If you do visit Chinatown, here are some of the places we recommend. This restaurant has been around since 1920, and for a good reason. Here, you can find some of your favorite dim sum dishes like dumplings and siu mai along with some specialties from the chef that include Pan-fried noodle in superior soy sauce, Turnip cake with XO sauce, Chicken and cabbage dumplings in soup, and Chinese greens in oyster sauce among others. This restaurant is a great spot for those who crave for spicy food. If you decide to drop by, try their lamb burgers and hand-pulled noodles. After your dinner, you can go next door and have some house-made ice cream sprinkled with Asian candies at the Chinatown Ice Cream Factory. Wo Hop is ready to serve you any time of the day. Take your pick from the various Cantonese dishes on the menu like chow fun and chop suey. They’re open 24 hours, so you can come by during lunch and dinner if you please or perhaps a late night meal with your friends. Note that this place doesn’t run out of customers. Good thing the chef can keep up–service here is pretty quick. Another concentration of foreign cuisine is found in Little Italy. Here, you’ll get to taste some of Italy’s most prized dishes. Take your pick from these notable Italian restaurants below. 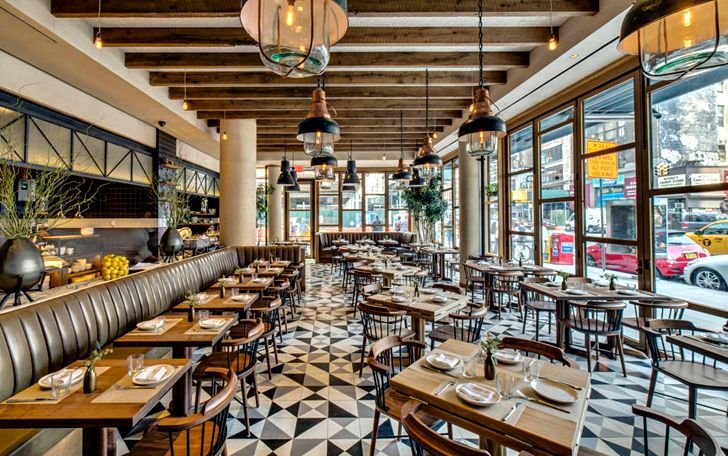 The Little Italy in Manhattan overflows with Italian cuisine. However, one particular restaurant stands out not only for their menu but for their diners as well. 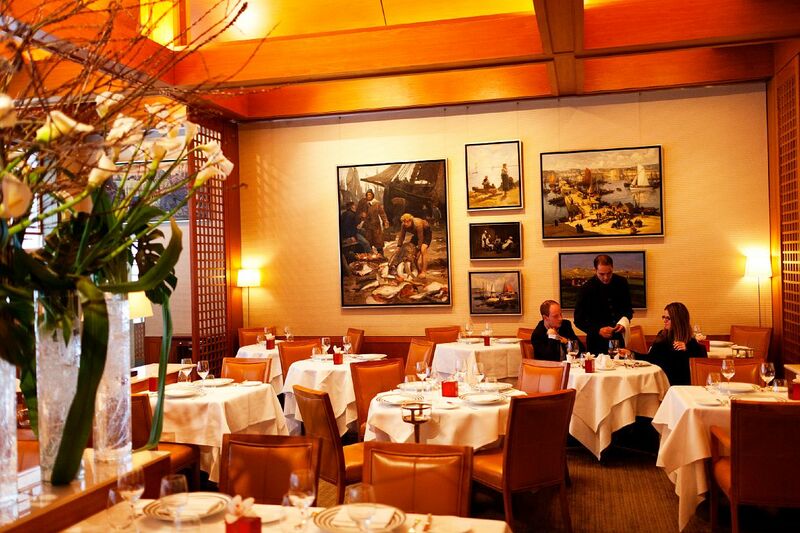 In fact, the dining room is adorned with framed pictures of celebrities who have visited and dined in the restaurant. If you’re lucky to get you and your date a table, don’t miss their baked clams and tagliatelle bolognese. Finish off your meal with a drink from their impressive wine list. Owned by Italian chef Franco Aliberti, Capri’s dining room ambiance reflects a 1960’s vibe of a laid-back Italian island. This is perfectly complemented with the restaurant’s tasty Italian cuisine that includes pan-seared fresh fish, spaghetti and meatballs, and a pizza that’s served straight from a wood-burning oven. This fancy Italian restaurant is one of Little Italy’s finest, so that should be good enough reason to drop by sometime. Get yourself and your date some Linguine with Clam Sauce or Spaghetti Puttanesca with olives, arugula, and tomatoes. The best part is you can enjoy your meal at the open-air garden atrium that’s way better than your average dining room. Regardless of your purpose of being in the Financial District, here are some of the best restaurants in the area that are worth paying a visit. If you’re up for a unique dining experience in FiDi, The Dead Rabbit can give you just that. 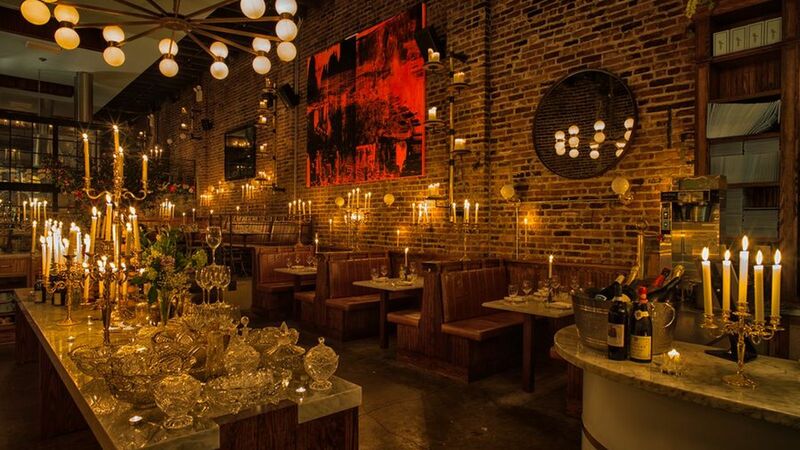 This bar and restaurant serve their cocktails in fancy teacups–something you will most likely never experience anywhere else. In fact, this is partly the reason why the bar is highly recommended. This is undoubtedly one of the best restaurants in NYC that you don’t want to miss. The Delmonico’s is said to be the oldest restaurant in the city and the first fine dining restaurant in the country. Check out some of their signature and award-winning dishes for that ultimate iconic New York City dining experience. 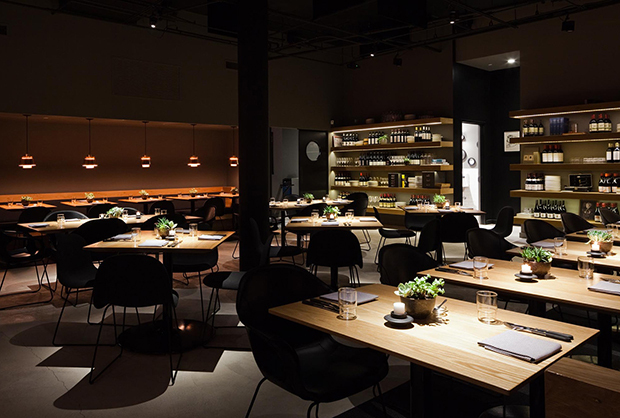 Fuku is actually a part of the momofuku group–momofuku noodle bar, nishi, ko, and ssäm bar with each one making a name its own. Fuku, in particular, is popular for its fried chicken. You also get to choose your seasoning: dry spice, wet glaze or sauce. There are healthier options on the menu too like the Summer Goddess Salad, Ginger Chicken Bowl, and Fuku Kale Salad. These hand-picked best places to eat in NYC are just some of the unique restaurant you can visit in the concrete jungle. Whether you want to splurge on seafood or spend as little as possible on breakfast, lunch, and dinner, NYC is your ideal next destination. Enjoy an unforgettable culinary time in one of the most amazing cities in the world!